This is the fourth in a series of articles giving brief biographical sketches of the people who owned the Wanstead estate over 800 years. Links are given to sources of additional information on this site and elsewhere. Robert Rich, 2nd Baron Rich (c.1537-1580) was the greatest landlord in Essex and a leading political figure in the county, owning over 75 manors, and being lord of the hundreds of Ongar, Harlow and Rochford. In 1578, Lord Rich sold the freehold of the manor of Wanstead and the residue of the lease upon it to Robert Dudley, Earl of Leicester. At the same time Leicester bought the neighbouring manor of Stonehall in Ilford, which henceforth became effectively part of the Wanstead estate. Leicester was to enlarge and greatly improve the mansion. 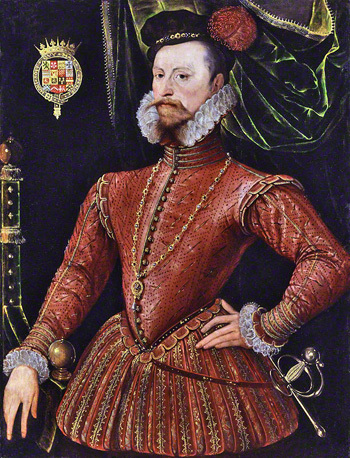 Robert Dudley, 1st Earl of Leicester, by Unknown Anglo-Netherlandish artist (c.1575). Image © National Portrait Gallery, London. Robert Dudley (1532-1588) was a son of John, Duke of Northumberland, and was condemned with him and others for the unsuccessful attempt to place Lady Jane Grey on the throne in 1553. However, Dudley survived the storm and was released in 1554. He became a leading statesman, as well as a close friend and confidant of Elizabeth I. Dudley was raised to the Peerage in his own right in 1564. Dudley was the subject of scandal over the death of his first wife Amy Robsart. After being effectively separated from her husband for some time, Amy had been found dead in 1560 after apparently falling down a flight of stairs. The rumours that Dudley had her murdered, in order to be free to marry the Queen, ended any possibility of marriage between them, assuming Elizabeth had ever seriously considered it. In May, 1578, Queen Elizabeth paid a visit of five days to Leicester at Wanstead House, and was splendidly entertained. However, in the same year Leicester attracted her jealous wrath by marrying Lettice, originally Knollys, Dowager Countess of Essex. She was the mother of Robert Devereux, second Earl of Essex, and the notorious Penelope Devereux, later wife of the 3rd Lord Rich. Lettice’s marriage to Leicester earned her Queen Elizabeth's undying enmity, though Leicester -“sweet Robin” - was forgiven. Leicester, whose finances were often precarious, mortgaged Wanstead and Stonehall in 1580 for £4,000. At one point threatened with foreclosure, Leicester appears to have redeemed the mortgage and held the manors to his death in 1588. For more information on Leicester's life and career, see this article and this on History of Parliament Online. Lettice, Countess of Leicester, by George Gower 1540-1596. From the collection of the Most Honourable The Marquess of Bath, Longleat. The manor was confirmed to Leicester’s widow who, less than a year later, took a third husband, Sir Christopher Blount (c.1555-1601). Blount was another statesman, though he was destined to come to an ignominious end. For further information on Sir Christopher Blount see History of Parliament Online. Once again, attempts were made by the Countess of Leicester (as she still styled herself) and her new husband to mortgage the estate to repay some of Leicester's enormous debts. 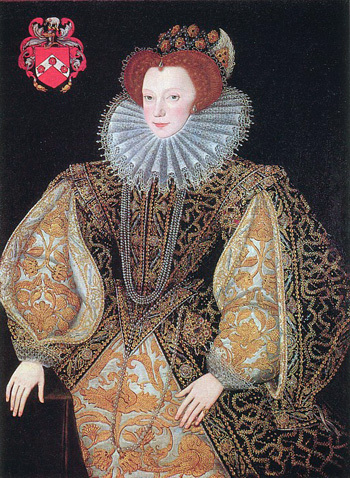 However, the Queen, who was one of his creditors, was not repaid, and she seized the manor of Wanstead, retaining it until 1593, when she released it to Lettice’s son Robert Devereux, 2nd Earl of Essex, as part of a wider settlement. In 1598, Sir Christopher Blount and the Countess of Leicester sold Wanstead and Stonehall to Charles Blount, Lord Mountjoy (1563-1606), for £4,300.